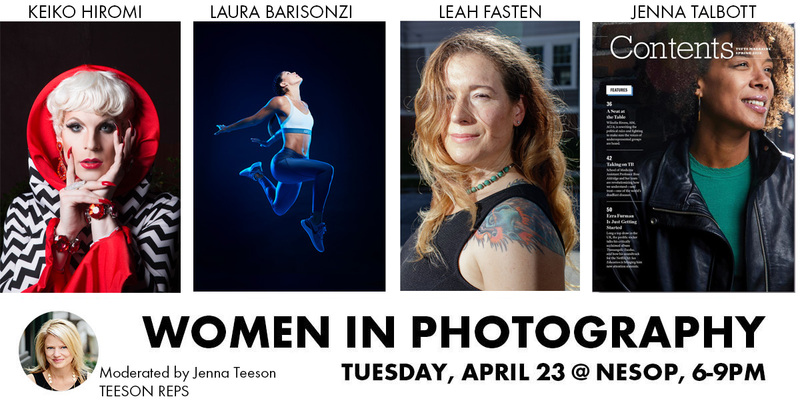 Come join us for a night of open dialogue with our women in photography panelists, led by moderator Jenna Teeson (TEESON REPS). Be entertained by four inspiring women—Laura Barisonzi, Leah Fasten, Keiko Hiromi, and Jenna Talbott—whose individual journeys into photography (and related professions) promise to inspire you in your own practice. We are fortunate to have Laura Barisonzi, Leah Fasten, Keiko Hiromi, and Jenna Talbott willing to share their images along with the story of their past and hopes for the future. They will be led by Jenna Teeson (TEESON REPS), who has more than a decade of artist management experience and was formerly a photo editor for National Geographic. The panel demonstrates the spectrum of the photography business from the athletic and lifestyle imagery of New York-based commercial photographer Laura Barisonzi to the documentary and improv style of Boston photographer Leah Fasten. International photojournalist Keiko Hiromi and Art Director Jenna Talbott round off the panel with their unique styles and background. The panel was chosen to reflect the variety of ways people make a living in the photography industry with a unique focus on their views as a woman in a once male-dominated industry. How they continue to succeed and grow in the industry. We’d like to thank our generous sponsors NESOP, Think Tank, Hunt’s, and Workbook. We’ll be raffling off two Hunt’s $50 giftcards. We’ll be silent auctioning off a Think Tank Mezzo shoulder bag from designer Lily Deanne with a retail price of $250. There will also be a silent auction on a standard online Workbook portfolio with a retail value of $2,000. NESOP is located at 274 Moody Street in Waltham, MA. Here’s information on parking (the nearest lot is Embassy Public Parking Garage at 14R Pine Street) and the commuter rail. Leah Fasten is a commercial and editorial photographer thriving on strong emotion and improvisational lighting. Her deep roots in documentary photography, improv theater, and a side hustle as a fitness coach, help inspire her on set. Laura Barisonzi is a New York photographer who strives to capture natural action and genuine emotion. Her style is based on the beauty of real people and natural movement rather than stiff poses. She bikes, runs, climbs and swims to help her keep up with the athletes and talent during those 14-hour days on set. Editorial Clients have included: Adweek, Barron’s, Boston Magazine, the Guardian, Health, Hemispheres, Muscle & Fitness, The Nature Conservancy, Newsweek, Outside, Popular Photography, Rolling Stone, Runner’s World, Sierra, Surfer, Technology Review, Women’s Health, Worth, Yoga Journal. Keiko Hiromi is a Japanese photographer based in Boston, USA & Tokyo, Japan. Her work has appeared on NYT, People Magazine, Vanity Fair, El Pais, Der Spiegel, Diamond Weekly (japan), Boston Globe, PRI and ABC news and many more publications around the globe.  Jenna Talbott began her editorial design career working for alternative newsweeklies, namely Eugene Weekly in Oregon and The Boston Phoenix. Making the leap from newsweeklies to magazines with a brief stint at fashion and nightlife magazine, Stuff@night, from there she moved to B-to-B titles CMO, CIO, and CFO magazines. In addition to editorial layout, she art-directed photoshoots of chief executives across the country. In 2006 she joined the launch team of Design New England, a high-end shelter magazine published by the Boston Globe. Having returned to the consumer sector once more, she dug into every aspect of magazine design while art-directing the region’s top interiors and architecture photographers, often on location, throughout New England. In addition, she commissioned lifestyle and environmental portraits, art-directed studio photography of products and design concepts, as well as fashion features. Design New England closed in 2018 and since then, Jenna joined forces with designer Heather Burke as Burke and Talbott and together they art direct and design six alumni magazines for Tufts University. For fun, she started an online magazine, Bijou-mag.com (currently on instagram @bijou.mag) and continues to keep her eye on the interior design world with short but snappy features on the region’s best home design. With more than a decade of artist management, previous experience as a photo editor for National Geographic and a degree in photography, Jenna has a deep knowledge of what a successful photographer/client relationship looks like. Jenna connects award-winning artists with global, editorial and commercial accounts. Her artists have recently worked on campaigns for Tide, Keurig, Liberty Mutual, National Geographic, Rockport and Twisted Tea, among others. Unlimited available	 NESOP Students (w/ valid ID) Free Please bring valid ID.